I know. 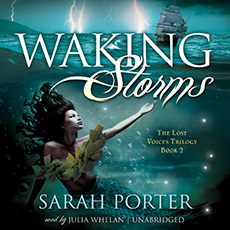 Waking Storms is also out in AUDIO, and you can check that out and hear an audio interview with Sarah here. 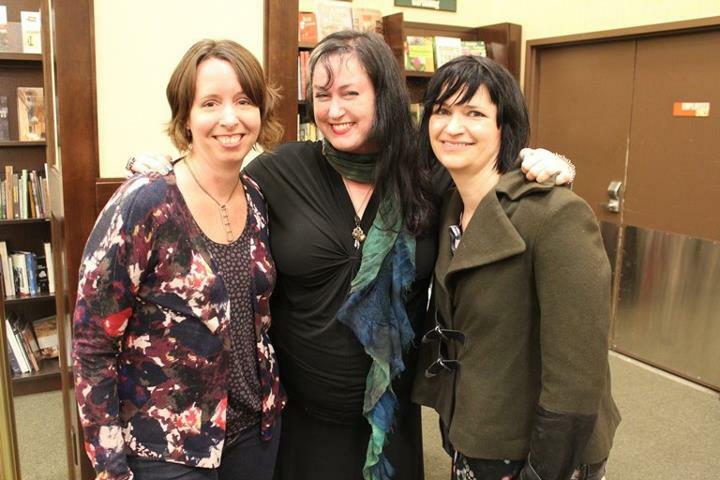 It is very important for mermaid authoresses to stick together. Heck, we even compare cheap moving rates from www.cheapmovingcompanies.co to live in the same areas! She is also, as it happens, super charming, a huge fan of and long-time participant in Burning Man, and possibly a genius. 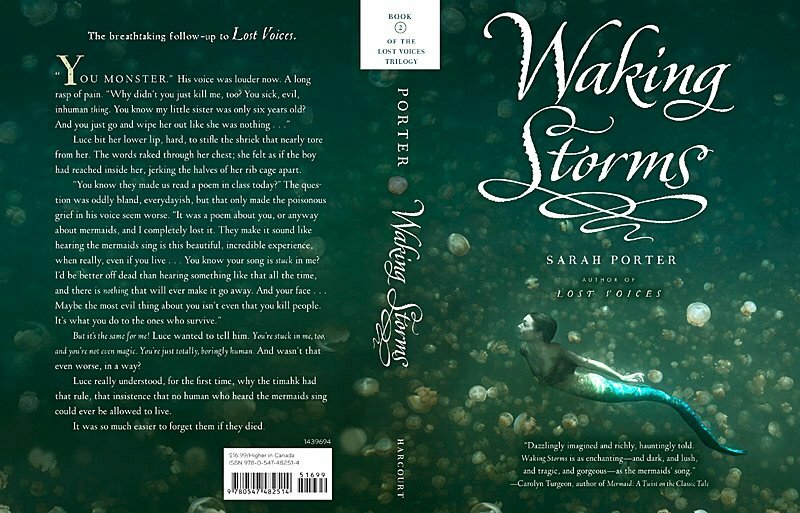 Anyway, I interviewed Sarah about Lost Voices last year, and now here’s a brand-new interview about Waking Storms, the mermaid world at large, and what’s coming next (aside from book 3, which should be out next year). So the second novel in your Lost Voices trilogy just came out. Can you tell me a little bit about it? Well, in the first book, Lost Voices, the mermaids are completely cut off from the human world that they used to belong to, and their only interaction with humans is killing them by sinking their ships. Mermaids believe they’re completely secret, but in the new book, Waking Storms, it starts to become apparent how naive they’ve been not to realize that people must notice something. The mermaids are still hiding from the truth, but that’s getting harder to maintain. 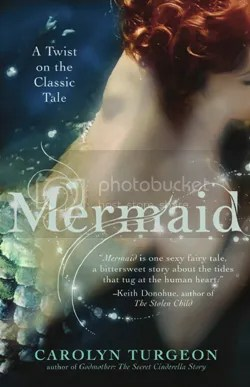 And then Luce, the 14-year-old mermaid hero, falls in love with a human, and that’s completely forbidden. What if he talks? She could get everyone killed. So it’s about learning to trust, learning to open yourself to new possibilities, but also about the danger inherent in that. What’s life been like since Lost Voices debuted last summer? Have you been surprised by the response? Oh, yes. I was surprised at first by how angry some readers seemed to be at the book. It’s not often, I guess, that a book asks you to identify with a band of mass murderers and feel compassion for them. Some people thought I was advocating killing, which really isn’t what I meant! I felt that Luce had to go all the way down into terrible darkness in order to find a way back out. She couldn’t go through the series as a complete innocent. And then, I’ve been surprised by just how sweet the teenage readers are, and how ready they are to feel empathy for these wounded girls and their struggles. I’ve received responses so beautiful from certain readers—mostly the younger ones—that I really can’t feel like I deserve them. But I’m grateful! Do you get a lot of emails from mermaid lovers? Some. More emails from girls who identify with the darker kind of mermaids who live in the world of Lost Voices. Did you expect to find such a rich world of real-life mermaids out there? Oh, I was amazed when I learned about MerCon, the beautiful custom tails, the activist mermaids, the whole merworld! There’s nothing I admire more in people than that kind of commitment to following a vision, so I’m proud to be associated with mermaid society. Have you considered putting on a tail yourself? Maybe someday I will. I’m mostly content to be a Mermaid Spokesperson rather than a mermaid myself. I mean, mermaids can’t really write their own memoirs. The water shorts out laptops and makes the ink run. (Okay, I know you’ve managed, but you’re exceptional!) So I feel it’s good if they have human allies who can write on their behalf! It’s a pretty big departure from the Lost Voices Trilogy: a novel for adults called Boudoir. It’s a dreamy, creepy, sort-of-horror novel, but not in the gory sense; more in the sense that nothing is quite how it’s supposed to be and certain characters are living under continuous threat. One of the characters may, or may not, be turning into a typewriter. I love mermaid, she is beautiful and i need her, please come to me, i need you. My name is CAROLYN TURGEON. I'm a well coiffed world famous authoress and wrote the novel MERMAID (which came out in March 2011, and might possibly be a movie), which makes me a mermaid expert. 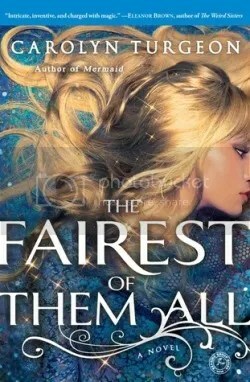 (My newest novel, THE FAIREST OF THEM ALL, which is about Rapunzel growing up to be Snow White's stepmother, came out in August 2013 from Simon & Schuster.) I also edit Faerie Magazine, and put together a whole MERMAID ISSUE that might change your life. If you're a mermaid or have any secret mermaid knowledge to pass on (or just a photo or a story or a drawing your kid made), please email me at carolynturgeon at gmail dot com. In the meantime, please remember: just because you're half a fish doesn't mean you have half a heart. Beware the mermaid, she neither comes nor goes. "I must be a mermaid, Rango. I have no fear of depths and a great fear of shallow living." Help Save the Coney Island Mermaid Parade! Mermaid Portfolio Workshop next July!